The draft is still nearly two months away, but that doesn't stop us from speculating on the 2014 Rookie class. 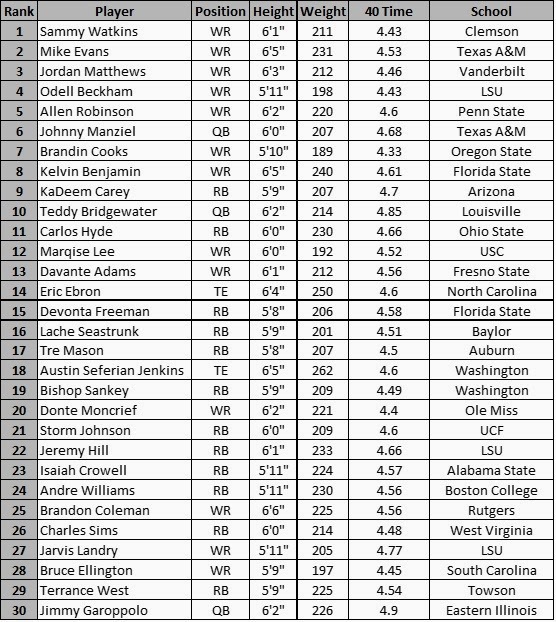 Below is a list of the TOP 30 offensive PPR fantasy rookies. These rankings will obviously change once the draft happens, but it doesn't hurt to get a head start on the talent coming in 2014.